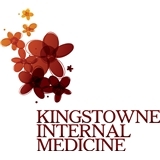 Kingstowne Internal Medicine (Alexandria) - Book Appointment Online! Here at Kingstowne Internal Medicine we believe in patient centered medical care. Our focus is on disease prevention and we strive to transform our healthcare delivery from a ‘Reactive’ to a ‘Proactive’ system. We provide comprehensive care for individuals age 16 years and older. We appreciate the importance of a staff that listens carefully and delivers compassionate care. We know that you are busy professionals attempting to juggle all of life’s many responsibilities so we respect your time. We appreciate you trusting us as partners in your healthcare decisions. Dr. Waddell was very professional and addressed all my concerns. I'm happy to have her as my new primary care doctor!